Iron Hill and Oyster House are readying two summer season seafood feasts. Two local restaurants are hosting seafood specials just in time for the last breath of summer. Iron Hill Brewery will be serving up a new seafood menu for the last two weeks of August while Oyster House celebrates Local Seafood Week beginning August 17. Iron Hill's new menu will run Friday, August 14 through Sunday, August 30 and includes two company-wide dishes served at all of their locations, plus individual specials made by each house chef. The Maine Lobster Salad with mesclun greens with avocado, mandarin oranges, sweet corn relish, jicama and wonton crisps will run for $17.95 while the Jumbo Snow Crab Clusters with Old Bay wedge fries will go for $24.95. A special summery kolsch beer, dubbed The Hammock, will be available for pairing, too. Oyster House's Local Seafood Week will run from Monday, August 17 through Saturday, August 22. Oysters and clams from six different local New Jersey shellfish growers will be available with a whopping fifty percent of proceeds going toward Fair Food. 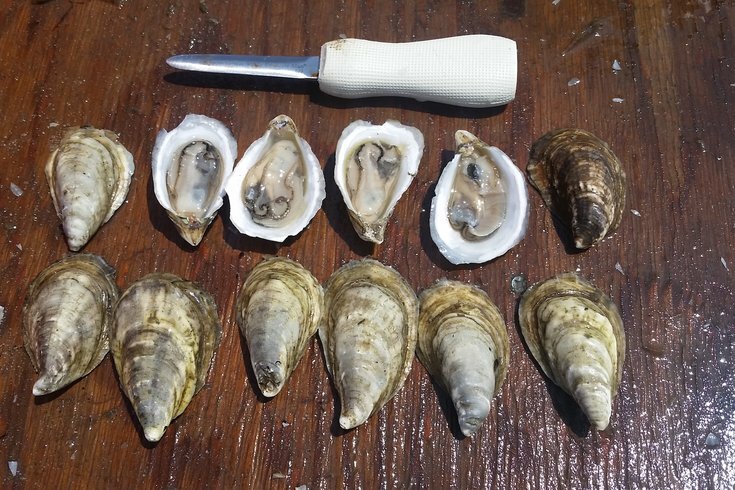 Guests will be enjoying the bounty of Forty North Oysters, Cape May Salts Oysters, Sweet Amalia Oyster Farm, Heritage Shellfish, Dias Creek and Betsy's Cape Shore Salts. They will be available in two different assortments: a half dozen mix of oysters and clams raw on the half shell for $14 or a half dozen oysters and clams with scallop ceviche for $38.